Thomson invented anti-friction linear technology over 60 years ago and has continued to lead the industry ever since. Thomson has consolidated the most competitive and complementary products from each brand into the most advanced, most comprehensive product portfolio available today. 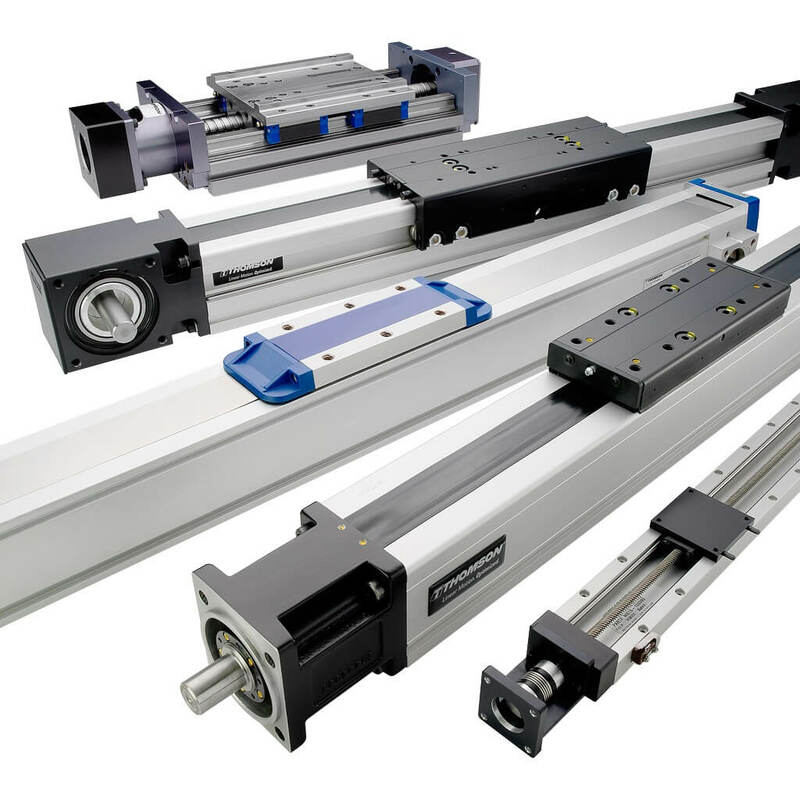 The range covers the smallest and most compact linear motion systems to the biggest and most robust. Their wide range of guide and drive systems can be configured economically and can also work in harsh environments, at high speeds, and in high precision applications. Thomson is linear motion, optimized. Thomson's Linear Actuators offer best fits for a variety of applications. With both standard and customizable stroke lengths up to 915 mm (36 in), these families can provide full load forces as high as 6670 N (1500 lbf). Available in both DC (12, 24, 36) and AC (115, 230, 400) voltage models, these actuators come optionally packaged with a wide selection of controls and accessories.